Wing Commander General František Peřina (8 April 1911, Morkůvky u Břeclavi; died 6 May 2006 in Prague) was a Czech fighter pilot, an ace during World War II with the French Armée de l'Air, who also served twice with Britain's Royal Air Force. Born into a farming family in South Moravian Region, Peřina had not visited the city of Brno until he was 14. He undertook a full elementary school education, before serving an apprenticeship as a machinist. Six months after qualifying he joined the Czechoslovak Air Force. Reporting to Prostějov airfield on 1 October 1929 after undertaking army officer training, he trained to fly the Letov Š-10 (nicknamed "Sardinka" /sardine/ by pilots), the Letov Š-14 and the Letov Š-18 "Komár" (mosquito). Graduating in 1931 he spent two years as a first class airman before promotion to Sergeant. In 1932 he attended fighter school in Cheb, training for four months in air-to-air and air-to-ground gunnery and aerobatics on various biplane and single wing fighters. He returned to his unit and was then attached to the 34th fighter squadron at Olomouc on Letov Š-20 biplanes. In 1937 Peřina represented the Czechoslovak air force at the International Air Show in Zurich, Switzerland in an Avia B-534. There he met the German contingent headed by World War I ace Ernst Udet, the then chief of the Luftwaffe's office of supply and procurement, and Erhard Milch, second-in-command of the Luftwaffe. The German team were equipped with the Heinkel He 51 and the new Messerschmitt Bf 109. Peřina took third place in both aerobatics and in the climb-and-dive competition, and fourth in the cross-country flight: behind the German pilots. The 34th fighter squadron was then transferred, and Peřina transferred to the 36th Fighter Squadron when it was rotated to the airfield with reconnaissance pilot Josef František, staying with them through the 1938 German occupation of Czechoslovakia. He was then posted to military school to serve as rotmistr (warrant officer), and in the aftermath of the Sudeten Crisis the Czechoslovak air force began to form new squadrons and he joined the 52nd Fighter Squadron. 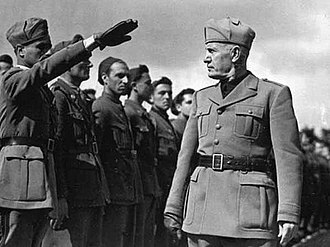 After a border war with Hungary, he married Anna Klimešová on 24 June 1939 and left for Poland without his wife on 26 June (she was delayed through paperwork), with the intention of joining the French Foreign Legion in North Africa. 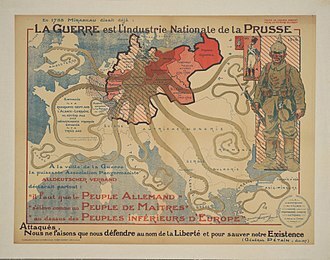 After the first dissolution of Czechoslovakia and the annexation of Bohemia and Moravia by Nazi Germany, and after Germany invaded Poland in September 1939, France declared war on Germany. The Czechoslovak government-in-exile obtained an agreement from the French Government for Czechoslovak airmen to be transferred from the Foreign Legion to the Armée de l'Air. 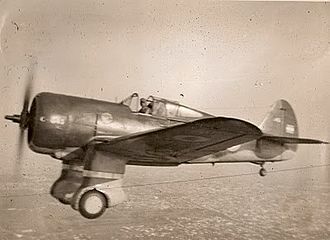 Initiated at Châtres, Seine-et-Marne, Peřina flew a Curtiss H-75A. On 1 December 1939 Peřina was assigned to the 1ère Escadrille of Groupe de Chasse I, Escadre de Chasse 5 based at Suippes near Reims. The squadron was made up of French pilots who had attended the Zürich air festival, and commanded by Capitaine Jean Accart. 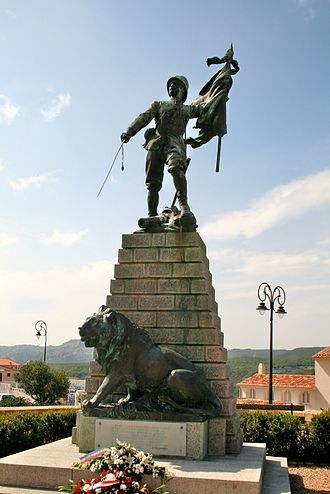 His took on the French alias of François Rinopé, in case he was taken prisoner - the Germans would treat a French prisoner much better than they would an exiled Czech. 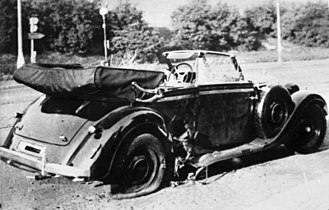 On operations after 10 May 1940, after Germany began implementing its Manstein battle plan against France, the Netherlands, and Belgium, Peřina shot down four planes in two sorties. He was also promoted to sergent-chef. The next day he shot down his fifth, thus becoming the first Czech ace in the Second World War. A day after that he shot down two more planes. 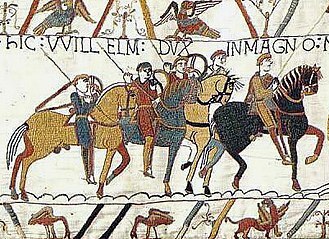 Promoted to Adjutant, he became well known throughout France through media coverage of his exploits. I had to gain them some time, and I could think of nothing other than to attack. I had to stop them somehow. I distracted them, and I even managed to shoot one down, but then I myself was hit. My plane took 15 cannon hits, 80 by machine gun. My leg and my arm were injured, although I didn't feel a thing. I knew I probably wasn't going to make it back. 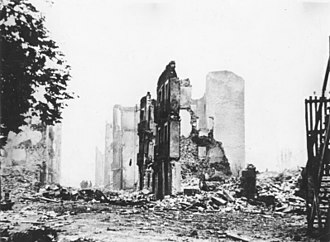 After being hospitalised in Coulommiers he left the hospital and escaped to Paris and then Chartres. He then joined GC I/5 at Carcassonne, retrieving a Curtiss with a flat tailwheel tire from another airfield and flying to join the Free French Forces in Saint-Denis-du-Sig airfield located near Oran, Algeria. 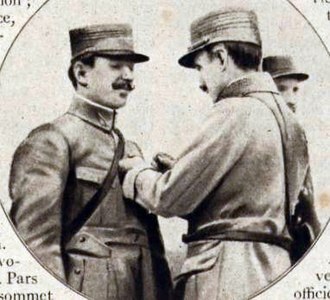 Having been awarded but never received the customary Croix de Guerre for his first air-to-air victory, the Free French decorated Peřina as a Chévalier de la Légion d'Honneur and also awarded him the Croix de Guerre with six palms. He then travelled by train to Casablanca where he boarded a ship to Britain. After a 29-day boat trip, Peřina was allocated to No. 312 (Czechoslovak) Squadron RAF, flying Hawker Hurricanes. He saw little action before suffering from acute appendicitis and was treated at hospital in Ely, Cambridgeshire. He returned to No. 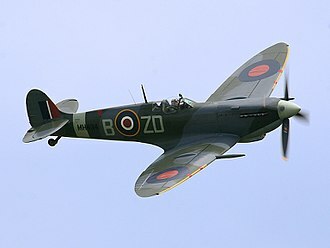 312 on recovery and moved with the squadron to Ayr, Scotland in 1941 to convert to the Supermarine Spitfire Mk V.
On 3 June 1942 while escorting bombers he claimed two Focke-Wulf Fw 190s from a formation of four, one of which was confirmed destroyed and a second as 'probable'. Peřina then served as sector gunnery officer for a year, and then spent the remainder of the war at Fighter Command as part of the Czechoslovak liaison establishment. Peřina returned to Czechoslovakia where his wife Anna had been imprisoned from 1942 to 1945. He became the Commanding Officer of a gunnery school and an aerobatic pilot with his own Bücker Bü 131 "Jungmeister" biplane provided by the air ministry. However, as the communists took power and the Cold War developed there was a questioning of the loyalty of those 'westernised' pilots who had served with the Allies. In December 1949 after an argument with Bedřich Reicin, Peřina was expelled from the army and forced to flee. In April 1949 Peřina, his wife Anna and a friend flew to West Germany, belly landing at Passau, eight miles from the Soviet zone. After his wife recovered in hospital from injuries received during the crash, he rejoined the RAF for five years, but at the age of 36 was not allowed to fly again. He joined the RAF rifle shooting team. Peřina applied for a United States visa in London in 1949 and emigrated to Canada, even though Air Marshal Sir Arthur Tedder tried to persuade him to stay. In 1953 while in Canada he gained a job building fibreglass fishing boats, but also trained as a commercial pilot - however being over the age of 42 could not find work. At Christmas 1959 the couple's US residency was confirmed and he joined the new plastics division of ejection seat specialist Weber Aircraft in Burbank, California (later a subsidiary of French-based Zodiac Group). Supervising 347 people, his division made lavatories and kitchens for Douglas, Lockheed and Boeing including the Boeing 747 and seats for the Project Gemini space capsules. Following his retirement on 15 March 1979 Peřina and his wife retired to Arizona but finding it too hot moved to Las Vegas, Nevada. In 1993 Peřina and his wife returned to the Czech Republic following the removal of the Communist regime. 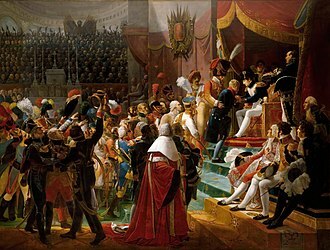 Many citizens, not least those in the newly emerging military, greeted him with a 'hero's welcome'. Peřina commented that he simply wanted to die on home soil and that it was the country that he fought for and stressed repeatedly that he loved the Czech countryside. He was made a General of the Czech Republic Air Forces. Peřina died on Saturday 6 May 2006 aged 95 in Prague's military hospital of an unspecified chronic disease and exhaustion. His wife Anna Peřinová (née Klimešová) had died several days before his admission to hospital on 21 April Radio Prague reported. One elementary school in Prague has been given his name. In 2011 the Niue Island issued the 100 NZD gold coin depicting and commemorating the Legendary fighter pilot in the Battle of Britain, General Peřina. ^ "Gold investment coin 100 NZD General Peřina proof". ceskamincovna.cz. Czech Mint. Retrieved 5 April 2016. The Avia B-534 is a Czechoslovak biplane produced during the period between the Great War and World War II. In 1932, the Czechoslovak aircraft company flew a first prototype of a fighter biplane. After modification, the Czechoslovak Ministry of Defence placed an order for B-34s and this engine proved prone to overheating and vibration, and it was decided to re-engine the B. 34/2 before it flew, fitting it with a Hispano-Suiza 12Ybrs V12 engine. The Avia B-34/2 made its flight on 25 May 1933. The prototype was sent for testing in September and was redesignated as B-534.1, on 10 September, the B-534 was displayed to the public for the first time at an Army Air Day. It was to compete against the Praga E-44 and Letov Š-231, a second prototype, the B-534/2 was completed in September 1933. It differed from the first prototype in having an enclosed cockpit, on 14 April 1934 test pilot Václav Kočí successfully gained a Czechoslovak national speed record of 365.7 kilometres per hour. More testing followed and an order for 34 aircraft for the Czechoslovak Air Force. At that time, the B-534 was well ahead of its contemporaries, the United Kingdom was still dependent on Hawker Furies, with the first Gloster Gladiators being produced at this time. 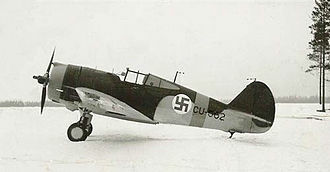 The Soviet Union was placing its hope on its Polikarpov aircraft designs, the United States was still using descendants of the Curtiss Hawk series, with the Seversky P-35 and Curtiss P-36 just about to fly as prototypes. 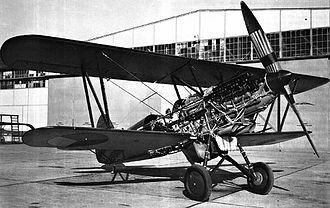 The B-534 was designed as a biplane fighter with a license-built Hispano-Suiza inline powerplant. The air forces of the 1930s were reluctant to abandon the maneuverability and climb rates of biplanes for the speed of monoplanes, even in the face of new and better technology. The success of the Soviet pilots with biplanes may have contributed to this reluctance, they were known to strip their aircraft of sliding canopies, aircraft with two fabric-covered wings and fixed landing gear were less expensive to manufacture. First deliveries of the B-534 to the Czechoslovak air force began in October 1935, the first 100 of these were of the first series. A biplane is a fixed-wing aircraft with two main wings stacked one above the other. The first powered, controlled aeroplane to fly, the Wright Flyer, used a biplane wing arrangement, while a biplane wing structure has a structural advantage over a monoplane, it produces more drag than a similar unbraced or cantilever monoplane wing. Improved structural techniques, better materials and the quest for greater speed made the biplane configuration obsolete for most purposes by the late 1930s. Biplanes offer several advantages over conventional cantilever monoplane designs, they permit lighter wing structures, low wing loading, interference between the airflow over each wing increases drag substantially, and biplanes generally need extensive bracing, which causes additional drag. Biplanes are distinguished from tandem wing arrangements, where the wings are placed forward and aft, instead of above, the term is occasionally used in biology, to describe the wings of some flying animals. 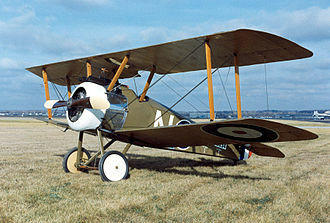 In a biplane aircraft, two wings are placed one above the other, either or both of the main wings can support ailerons, while flaps are more usually positioned on the lower wing. Bracing is nearly always added between the upper and lower wings, in the form of wires and/or slender interplane struts positioned symmetrically on either side of the fuselage. The primary advantage of the biplane over the traditional single plane or monoplane is to combine great stiffness with light weight. A braced monoplane wing must support itself fully, while the two wings of a help to stiffen each other. The biplane is therefore inherently stiffer than the monoplane, the structural forces in the spars of a biplane wing tend to be lower, so the wing can use less material to obtain the same overall strength and is therefore much lighter. A disadvantage of the biplane was the need for extra struts to space the wings apart, the low power supplied by the engines available in the first years of aviation meant that aeroplanes could only fly slowly. 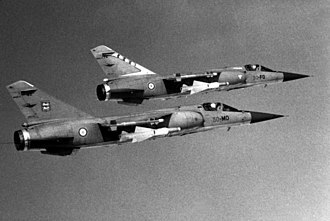 This required an even lower stalling speed, which in turn required a low wing loading, combining both large wing area with light weight. A biplane wing of a span and chord has twice the area of a monoplane the same size and so can fly more slowly. Olomouc is a city in Moravia, in the east of the Czech Republic. Located on the Morava River, the city is the ecclesiastical metropolis, today it is an administrative centre of the Olomouc Region and sixth largest city in the Czech Republic. The city has about 100,154 residents, and its urban zone has a population of about 480,000 people. Olomouc is said to occupy the site of a Roman fort founded in the imperial period, during the 6th century, Slavs migrated into the area. As early as the 7th century, a centre of power developed in the present-day quarter of Povel. Around 810 the local Slavonic ruler was defeated by troops of Great Moravian rulers, a new centre, where the Great Moravian governor resided, developed at the gord at Předhradí, a quarter of the inner city. This settlement survived the defeat of the Great Moravia and gradually became the capital of the province of Moravia, the bishopric of Olomouc was founded in 1063. 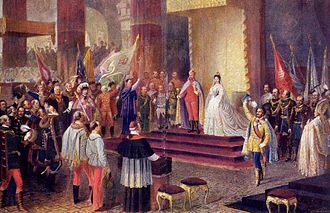 Centuries in 1777, it was raised to the rank of an archbishopric, the bishopric was moved from the church of St.
Peter to the church of Saint Wenceslas in 1141 under bishop Jindřich Zdík. The bishops palace was built in the Romanesque architectural style, the bishopric acquired large tracts of land, especially in northern Moravia, and was one of the richest in the area. Olomouc became one of the most important settlements in Moravia and a seat of the Přemyslid government, in 1306 King Wenceslas III stopped here on his way to Poland. 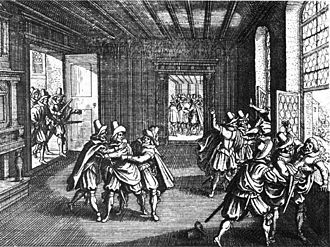 He was going to fight Władysław I the Elbow-high to claim his rights to the Polish crown and was assassinated, with his death, the whole Přemyslid dynasty died out. The city was founded in the mid-13th century and became one of the most important trade. In the Middle Ages, it was the biggest town in Moravia, Olomouc finally lost after the Swedes took the city and held it for eight years. 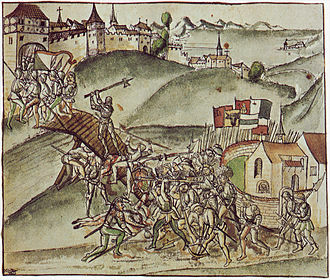 In 1235, the Mongols launched an invasion of Europe, after the Battle of Legnica in Poland, the Mongols carried their raids into Moravia, but were defensively defeated at the fortified town of Olomouc. The Czechoslovak Air Force was the air force branch of the military of Czechoslovakia. 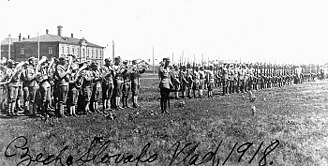 It was known as the Czechoslovak Army Air Force from 1918 to 1939, in 1993, it was divided into the Czech Air Force and the Slovak Air Force. For a modern nation surrounded by hostile neighbors, without access to the ocean. So was born the motto Air is our sea, the Czechoslovak government between the wars balanced a home-grown aviation industry with licensing engine and aircraft designs from allied nations. Several major aircraft companies, and a few companies, thrived in Czechoslovakia during the 1930s. One well-known engine manufacturer was A. S. Walter located in Prague, the Aero Company, was located in the Vysočany quarter of Prague. Its mixed construction and all-metal aircraft were competitive in the early 1930s, however, by 1938, the Avia Company, a branch of the enormous Škoda Works heavy machinery and military industrial enterprise, was different. Founded in 1919 in an old factory in the eastern Prague suburbs of Letňany and Čakovice, Avia made entire airplanes, including motors. The standard Czechoslovak pursuit plane of the late 1930s, the B-534 reached a production of 514 units. It was one of the last biplane fighters in operational use, the state-controlled Letov was situated in Letňany. 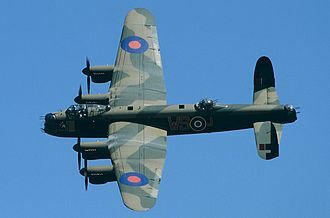 It employed about 1,200 workers in the late 1930s, the entire airframe was welded together, not bolted or riveted. The Letov factory was the only Czechoslovak plant that manufactured metal propellers, during this time, Czechoslovakia was divided into the Protektorat Böhmen und Mähren – a rump state directly controlled by Nazi Germany – and the Slovak Republic – a German puppet state. Many Czechoslovak pilots successfully escaped to Poland and France, where they helped to fight against the Nazi blitzkrieg during the Battle of France. Later, in Great Britain, the Inspectorate of the Czechoslovak Air Force was established on July 12,1940, as a co-ordinating, brigadier General Dr Karel Janoušek was appointed to head the Inspectorate by the British Ministry of Defence. Janousek joined the ranks of the Royal Air Force Volunteer Reserve and was given the rank of Acting Air Commodore, Czechoslovakian airmen were enlisted into the RAFVR and the formation of Czechoslovak fighter and bomber squadrons within the Royal Air Force was put in hand. The name came to be used by other World War II as they subsequently recognized it. 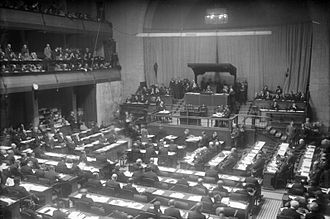 The Committee was originally created by the former Czechoslovak President, Edvard Beneš in Paris, unsuccessful negotiations with France for diplomatic status, as well as the impending Nazi occupation of France, forced the Committee to withdraw to London in 1940. From there, it moved to Aston Abbots, Buckinghamshire in 1941 and it was the legitimate government for Czechoslovakia throughout the Second World War. 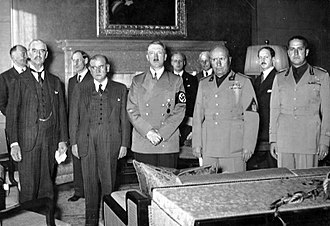 A specifically anti-Fascist government, it sought to reverse the Munich Agreement and the subsequent German occupation of Czechoslovakia, as such it was ultimately considered, by those countries that recognized it, the legal continuation of the First Republic of Czechoslovakia. 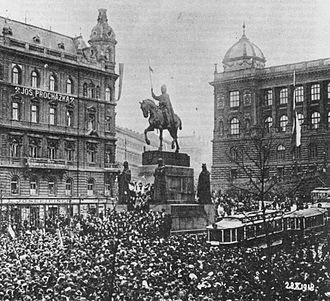 Seeing the end of the Republic as a fait accompli, Edvard Beneš resigned as president of the First Czechoslovak Republic one week after the Munich Agreement ceded the Sudetenland to Nazi Germany, while there, he was urged to quickly return to Europe to organize some kind of government-in-exile. He therefore returned to Europe in July to live in Paris along with other key players in his former administration. 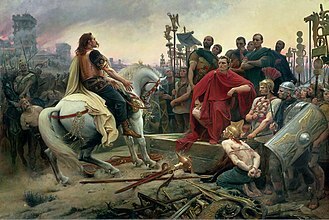 It was in fact France itself that proved the greatest obstacle to accepting the Committee as a full government-in-exile, the government of Édouard Daladier was ambivalent towards the ambitions of the Committee and of Czechoslovakia in general. Though he had seen the appeasement of Hitler as the road to war. 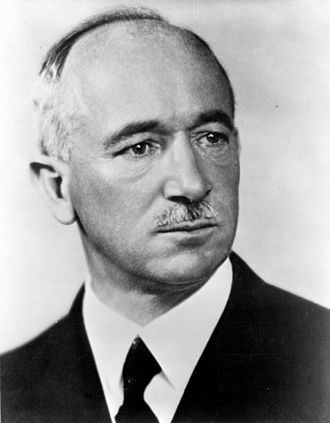 After the war came, he and his government dithered over whether the Soviet or Nazi threat was the greater, though he extended recognition to the Committee as a non-governmental agency, his government was non-committal to Beneš himself, and saw many possibilities for a post-war Czechoslovakia. 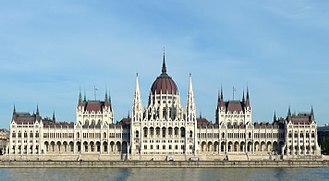 One of its reservations about giving governmental status to Beneš, was the fact of the murky situation in the then-independent Slovakia. The French government of the winter of 1939/40 felt that Beneš was not necessarily speaking for all Czechoslovaks, frances diplomacy towards Beneš was therefore agile. It avoided any direct expression of support for the Beneš Committees desire to return to the First Republic, however, as Beneš was the key to getting military support from the well-trained Czechoslovak army, France was in fact the first nation to conclude a treaty with the Committee. 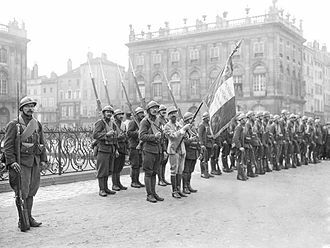 The 2 October 1939 agreement between France and Beneš allowed for the reconstitution of the Czechoslovak army on French territory, units of the First Division of the Czechoslovak Army fought alongside their hosts in the final stages of the Battle of France. 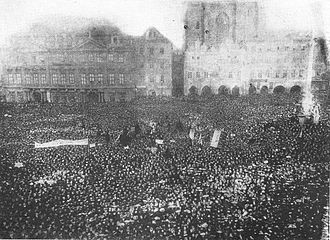 It was the failure of the Allied military forces in battle which most directly helped the ambitions of the Beneš Committee. With the fall of France, the views of the newly appointed prime minister Winston Churchill took predominance over the concerns of the waning Third Republic. 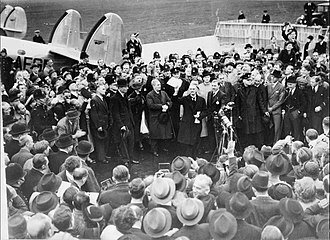 He was very much clearer than his predecessor Chamberlain with respect to Czechoslovak affairs, they pressed the British in April 1941 for even greater clarity. On the 18th of that month, they sent a letter to the British requesting that their agreements be concluded, as before September,1938, British Foreign Minister Anthony Eden gave such assent on 18 July 1941. Ernst Udet was a German pilot and air force general during World War II. Udet joined the Imperial German Air Service at age 19, eventually becoming a flying ace of World War I. Udet spent the 1920s and early 1930s as a stunt pilot, international barnstormer, light aircraft manufacturer, in 1933, Udet joined the Nazi Party and became involved in the early development of the Luftwaffe, where he was appointed director of research and development. 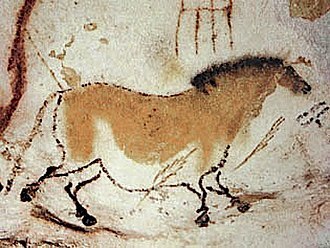 Influential in the adoption of dive bombing techniques as well as the Stuka dive bomber, the stress of the position and his distaste for administrative duties led to Udet developing alcoholism. Ernst Udet was born on 26 April,1896, in Frankfurt am Main, Udet grew up in Munich, and was known from his early childhood for his sunny temperament and fascination with aviation. In his youth he hung out at an airplane factory. In 1909, he helped found the Munich Aero-Club, after crashing a glider he and a friend constructed, he finally flew in 1913 with a test pilot in the nearby Otto Works owned by Gustav Otto, which he often visited. Shortly after the beginning of World War I, Udet attempted to enlist in the Imperial German Army on 2 August 1914, that month, when the Allgemeiner Deutscher Automobil-Club appealed for volunteers with motorcycles, Udet applied and was accepted. Udets father had him a motorcycle when he had passed his first year examination. Württembergischen Reserve Division as a messenger rider, after injuring his shoulder when his motorcycle hit a crater from an artillery shell explosion, he was sent to a military hospital, and his motorcycle was sent for repairs. When Udet tried to track down the 26th Division, he was unable to find it, during this time, he met officers from the Chauny flying sector, who advised him to transfer as an aerial observer. However, before he received his orders, the army dispensed with the volunteer motorcyclists, Udet tried to return to the fighting, but he was unable to get into either the pilot or aircraft mechanic training the army offered. However, he learned that if he were a trained pilot, through a family friend, Gustav Otto, owner of the aircraft factory he had hung out around in his youth, Udet received private flight training. The rank was first used in the 13th century in the English Royal Navy and is today used in most services in many countries, including the Commonwealth nations and the United States. Outside the United States, warrant officers are included in the Other Ranks category, equivalent to the US E category, Warrant officers in the United States are classified as officers and are in the W category, they are technical leaders and specialists. Chief warrant officers are commissioned by the President of the United States and they may be technical experts with a long service as enlisted personnel, or direct entrants, notably for U. S. Army helicopter pilots. 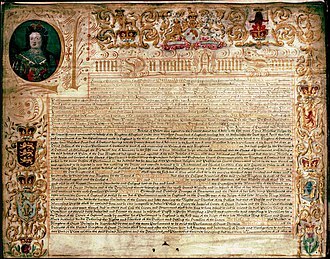 The warrant officer corps began in the nascent English Royal Navy, at that time, noblemen with military experience took command of the new Navy, adopting the military ranks of lieutenant and captain. As cannon came into use, the officers required gunnery experts, specialist gunners began to appear in the 16th century, since all warrant officers had responsibility for stores, this was enough to debar the illiterate. 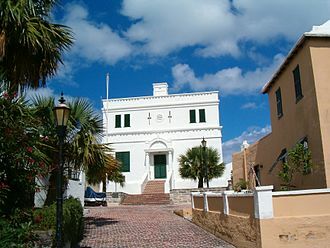 In origin, warrant officers were specialist professionals whose expertise and authority demanded formal recognition, in the early 19th century, they were joined in the wardroom by naval chaplains, who had warrant officer status. Other warrant officers included surgeons mates, boatswains mates and carpenters mates, armourers, masters-at-arms, who had formerly overseen small-arms provision on board, had by this time taken on responsibility for discipline. On 25 July 1864 the standing warrant officers were divided into two grades, warrant officers and chief warrant officers. By the time of the First World War, their ranks had been expanded with the adoption of technology in the Navy to include telegraphists, shipwrights, artificer engineers. Both warrant officers and commissioned warrant officers messed in the warrant officers mess rather than the wardroom, Warrant officers and commissioned warrant officers carried swords, were saluted by ratings, and ranked between sub-lieutenants and midshipmen. Collectively, these officers were known as officers, being retitled special duties officers in 1956. In 1998, the special duties list was merged with the general list of officers in the Royal Navy, the Australian Army has two warrant officer ranks, warrant officer class one and warrant officer class two, the former is superior in rank to the latter. All warrant officers are addressed as Sir or Maam, to gain the attention of a particular warrant officer in a group, they can be addressed as Warrant Officer Bloggs, sir/maam or by their appointment, e. g. ASM Bloggs, sir/maam. All warrant officers hold an appointment such as company sergeant major or regimental sergeant major, the WO1 appointed to the position of Regimental Sergeant Major of the Army is the most senior warrant officer in the Australian Regular Army, including the Army Reserve. The appointment of RSM-A was introduced in 1991, the rank insignia are, a crown for a WO2, the Australian Commonwealth coat of arms for a WO1, and the Australian Commonwealth coat of arms surrounded by a laurel wreath for the RSM-A.